Deputy Premier and Member for Monaro, John Barilaro making the announcement in Cooma that exploratory works for Snowy 2.0 have been approved. Watching on Bronnie Taylor MLC, Parliamentary Secretary for Southern NSW and Paul Broad, Snowy Hydro Managing Director and CEO. Photo: John Barilaro Facebook. The NSW Government has given approval for exploratory works to start on the Snowy 2.0 project. 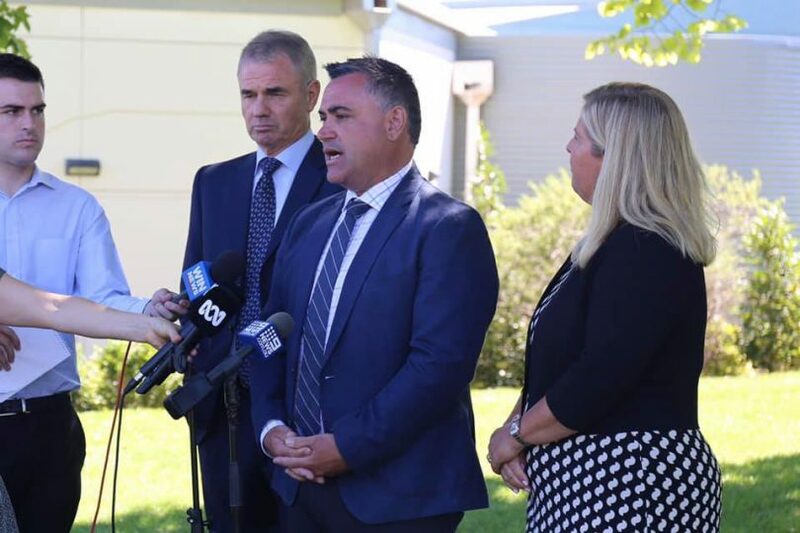 “Snowy 2.0 involves expansion of the existing Snowy Scheme, with the construction and operation of a new pumped hydropower station,” Deputy Premier and Member for Monaro John Barilaro says. If given final approval, Snowy 2.0 will link Tantangara and Talbingo Dams through underground tunnels and an underground power station. Hydropower will be generated by falling water spinning Snowy 2.0’s giant turbines, which can also pump water in the opposite direction. This closed system allows water to be used more than once between the upper dam (Tantangara) and lower dam (Talbingo). Snowy 2.0 will generate pumped hydro by linking Tantangara and Talbingo Dams. Photo: Snowy Hydro. NSW Planning Minister, Anthony Roberts explains that the approval will allow exploratory works to investigate underground conditions at the proposed location for a power station cavern. 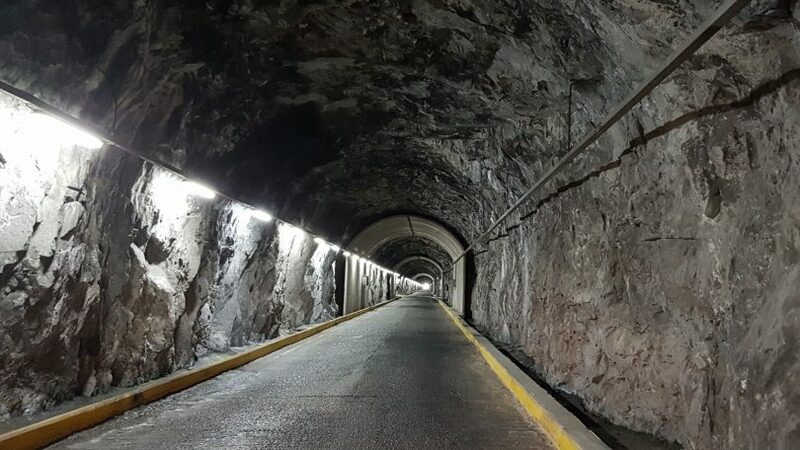 “Snowy Hydro Limited sought approval to construct a 3.1km tunnel and supporting infrastructure, as part of the exploratory works for Snowy 2.0,” Mr Roberts says. “This approval allows essential geological information to be gathered for the detailed design of the underground power station,” Mr Roberts says. The exploratory works will take place in Lobs Hole Ravine region and are subject to strict conditions to address concerns about impacts on Kosciuszko National Park. “Under the conditions of approval, Snowy Hydro is required to pay $10.5 million to offset the impacts of the exploratory works project on the National Park,” Mr Roberts says. Snowy Hydro will be submitting an Environmental Impact Statement (EIS) later this year for the Snowy 2.0 main works involving the construction of an underground power station with a generating capacity of around 2,000 megawatts and approximately 27km of power waterways linking the existing Tantangara and Talbingo Reservoirs. The Snowy 2.0 main works EIS will be publicly exhibited and is expected to be submitted in the first half of this year. The exploratory tunnel to the site of the underground power station will be 3.1 km in length, dome-shaped, 8m high by 8m wide. Photo: Snowy Hydro website. The exploratory works approved today are expected to start shortly and will take 18 to 34 months to finalise. Road and access works will begin first. All going to plan Snowy 2.0 could be operational by 2025. For more detail on the exploratory works check the Snowy Hydro website. #Region Media sought comment from the National Parks Associaton of NSW, read about their concerns HERE. Have they found a solution to the potential disaster of the spread of the noxious pest English Perch (Redfin)? If the Redfin are transferred to Tantangera, it is only a matter of time that they will spread to Eucumbene and Jindabyne. I clearly remember when Redfin first appeared in Googong Dam. They bred so quickly and spread throughout the lake that you could not cast a lure, bait or fly without hooking one of these pests. That fishery was ruined in short time. The same could happen to our premier trout fisheries and destroy the local economy. The money would be better spent on establishing clean coal power stations.